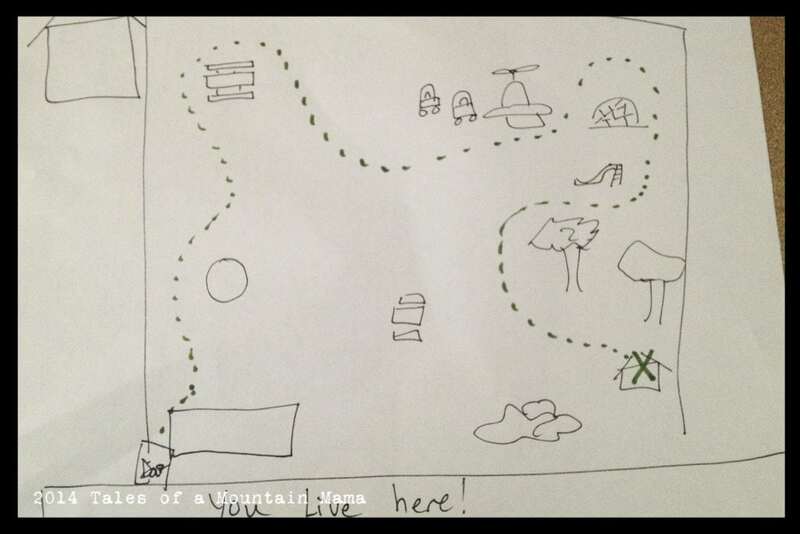 You are here: Home / Family Chat / A day in the life of a little adventurer…. I believe as humans that we are wired to learn, discover and explore. 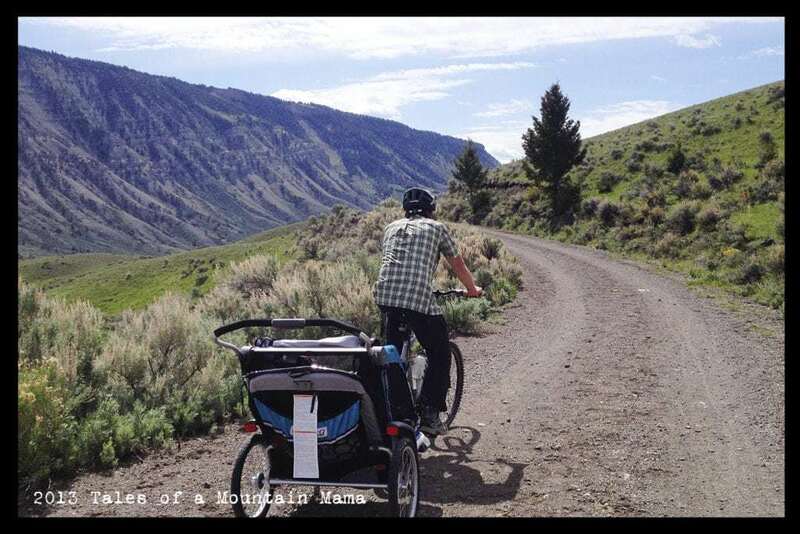 Adventure without a doubt feeds my soul and for me as a parent it’s so important to share that with my children. If you’re a dreamer, like my kids, then life never slows you down. Their sense of adventure is just as big as mine and they are my absolute favorite people to explore with. But what does an adventure day look like for us? Let me show you…. Packing – The first thing to think about before going on an adventure with kids is, what am I going to pack?! In order to get them excited about our adventure, I ask them to grab their backpacks and pack the things that they would like to take. I give them suggestions like a magnifying glass or a jar to collect their findings. 2. Snacks – Snacks are one of the biggest factors of a successful adventure, for the adults and the kids! I love to get the kids involved in our snack making. Not only is baking a fun activity, but it gives them something to look forward to eating on the adventure. 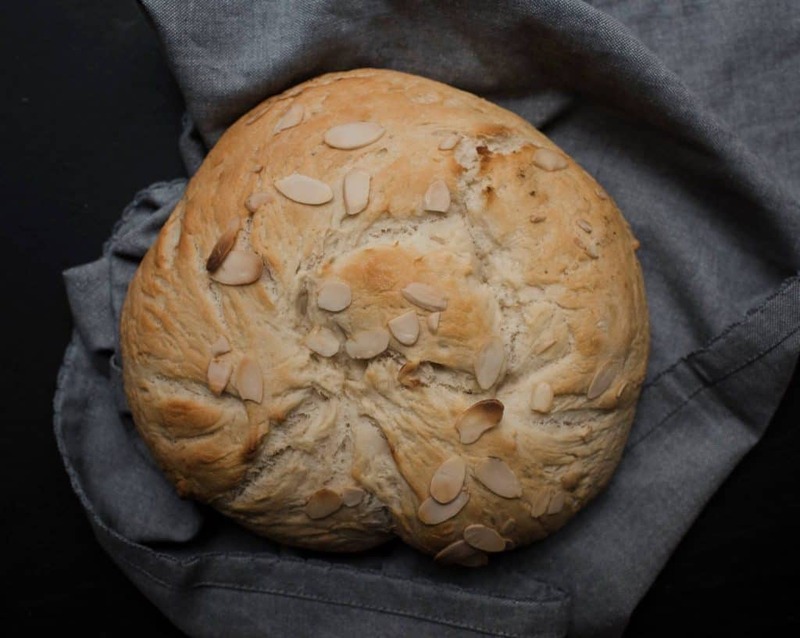 This honey & almond bread recipe is a great snack to take outdoors. Put the yeast, salt, honey and water in a mixing bowl and leave for 10 minutes. Then add 3 1/2 cups of flour to the mixture (add more if needed) knead the mixture with your hands until it is no longer sticky. Heat the oven to 400F. Place some baking parchment onto a baking tray then shape the dough to any shape you would like, and place it on the tray for 20 minutes, under a tea towel to rise. Meanwhile mix a tbsp of honey with a little bit of water. Once the bread has risen brush the honey and water over the bread and then sprinkle the almonds on top. Place in the oven for 18 minutes! Traveller Boots from MyMayu: As soon as I unpacked these boots I was excited. They are really well made, light and flexible which is perfect for kids on the move. 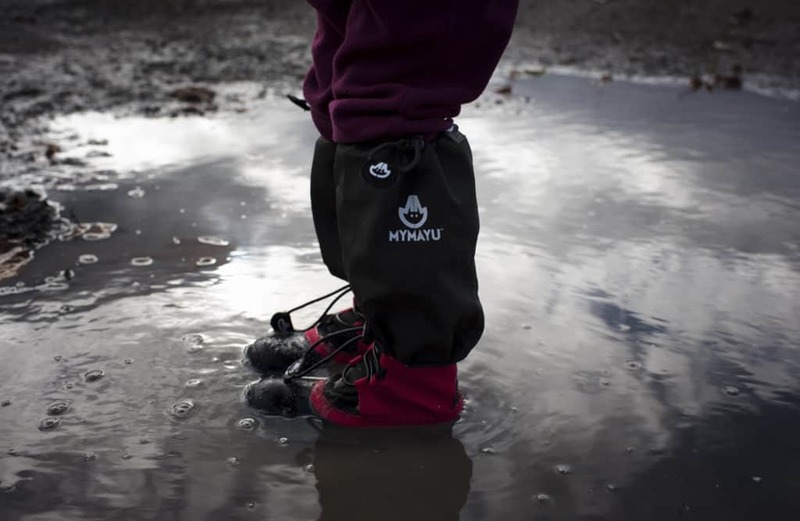 My daughter loves to splash in puddles and the textile upper was perfect for keeping her dry and the inner liner kept her warm. The boots pack away quite small which makes them great for traveling light. I would recommend these boots for summer, spring, fall & mild winters. I would also recommend going up a size if you are using the liners with the boots. 3. 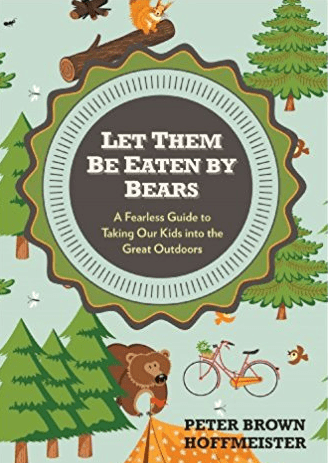 The adventure – In order to avoid meltdowns whilst outside, I try to keep the kids entertained. I send them on missions to distract them from the walk itself. A mission could be anything from finding as many green leaves as possible to who can find the biggest puddle to splash in. I encourage them to use the things they have brought in their backpacks to help with their missions. 4. Home – We love arts and crafts in our house and we nearly always collect leaves and other things to create pictures and paint with when we get home. I find that involving my kids in the whole process not only gets them excited to go and explore, but also to look forward to coming home and continuing our adventure indoors with a craft activity. In winter, after a trip outdoors, my kids always ask for hot chocolate when we get home. It’s the perfect time to get your slippers on, have a hot chocolate and create things with the findings from your adventure. 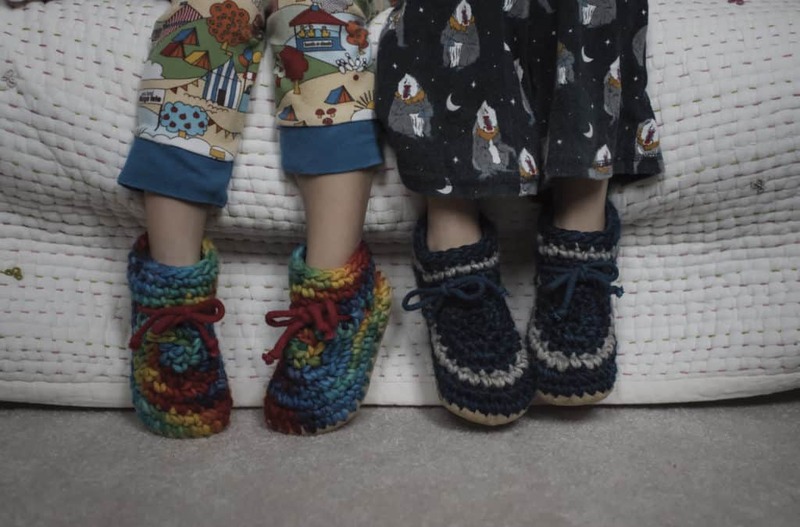 Padraig Cottage Slippers from Mountain Baby: These slippers have been a big hit in our house, so much so that my daughter slept in them! They have a sheepskin sole which is perfect for kids who love to run around. They are handmade in Vancouver with all natural materials. At first I thought these slippers were expensive, but after learning that they stretch and last for two years I think they are worth the money. We give them a big thumbs up! 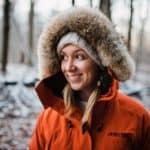 Meet Team Member Rachel Bell: A Toronto-based lifestyle, documentary photographer, adventurer, cake-baker and, most importantly, a mum of two. 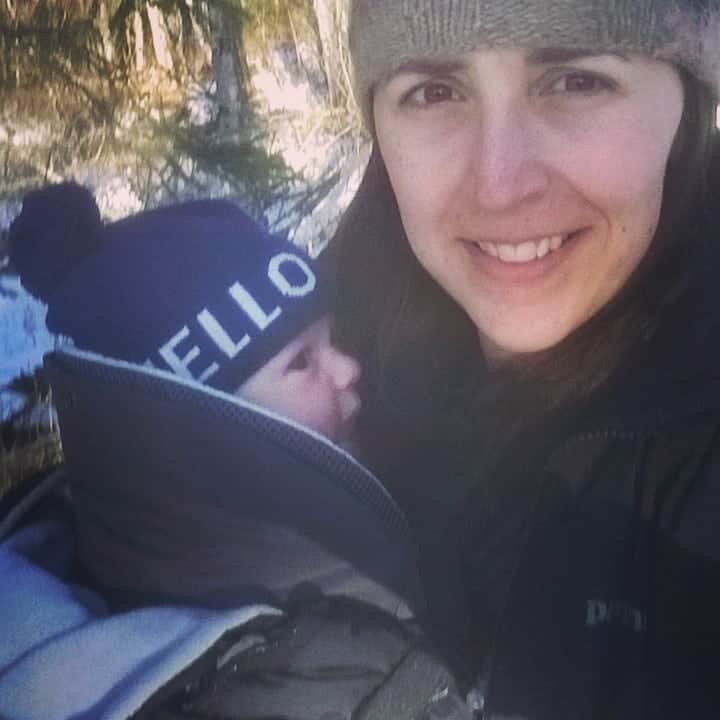 She has an innate passion for outdoor activities, enjoys new experiences and doesn’t shy away from a challenge.